Editorial: Right to Work – Good or Bad, and for Whom? Missouri is undergoing another election about Right-to-Work. Or, maybe I should say Missouri can’t get enough of the Right-to-Work question. There was an election on a Right-to-Work Constitutional Amendment in 1978. Since huge Republican victories in the Missouri Legislature in 2010, Right-to-Work has practically been a continuous topic of discussion. Advocates of Right-to-Work tout it as prohibiting “security agreements” that allow unions to collect fees from nonunion members. Much of the Right-to-Work literature states that it increases the actual number of jobs. Right to work reduces labor costs for employers, which proponents say makes Right-to-Work states attractive for business investment. Those against Right-to-Work see its language as unattractive to labor, since it allows those who wish to opt out of being union members to also opt out of paying dues, subsequently, reducing union funding. Union proponents point out that benefits won over time have aided all workers, with no distinction between member and nonmember. Labor unions give themselves credit for many of the improvements in the lives for workers: Work Weekends and the forty-hour week; Child Labor Laws; employer funded health insurance; and even the movement for Family and Medical Leave. The success of labor has been so widespread that many of the rights for which it has fought now have national regulatory bodies, such as the Occupational Safety and Health Administration. Those against Right-to-Work acknowledge that while it doesn’t prohibit union membership, they say it reduces unions’ ability to bargain for better wages, benefits, etc.—for all workers. The Global Economy and automatization has contributed to the reduction of private sector jobs that were heavily unionized in the past, and therefore the number of workers today who are union members. The greater profits seen from reduced costs (and tax breaks) are much more likely to go to shareholders or to employers themselves, not to workers. So, could it simply be that Right-to-Work saves costs to employers and gives them more profit? Is the Right-to-Work movement really just about a transfer of wealth from employee to employer? This alone is not the answer. Over time, unions grew to amass significant war chests that they used to weigh in on issues and candidates of interest to them. Unions and union leadership became very powerful with powerful, political voices. For example, unions were active in the Civil Rights Movement. The voice of labor was not always a unanimous voice for all members. And, it stands to reason that the issues of interest to unions were not likely those of employers or corporations seeking enhanced value of their companies, whether in value of stock or for smaller companies, simple profits. When African Americans, other persons of color and indeed all low-income workers consider Proposition A in Missouri, they need to consider the history of unions and the experiences in Right-to-Work states. African Americans were originally denied union membership; when they received a lukewarm response they created their own unions. After factories began to hire African Americans during World War II, these new workers were later able to join unions. Unions came to recognize the value of the numbers of African Americans contributing to their voice. Southern supporters of Right-to-Work in the 1930s were said to hate unions because of their lingo about the “brotherhood of workers” regardless of race. The beneficiaries of Right-to-Work in the past were those seeking segregation who encouraged fighting between groups. Today, unionization is actually higher among persons of color than whites. Persons of color have dominated the service unions and have a higher percentage of public union membership than whites. Although overall union rates have gone down in the United States, Blacks continue to have the highest rate of union membership and Latinos are one of the few groups whose union membership is increasing. Asian Americans and Pacific Islanders and Latinos are the fastest growing ethnic groups in unions. This is important as research on Right-to-Work states reveals many negatives for persons of color. Black workers in Missouri will especially suffer from Right-to-Work as they have a larger share of union workers in Missouri’s private sector than for other groups. Even with today’s exceptionally low unemployment rate, unemployment for African American males is nearly double that of whites. Unions contend that they still offer a better path to the shrinking middle class, and that workers fare far better with the economic security and wage support seen in non-Right-to-Work states. Right-to-Work states often have lower wages than currently seen in Missouri or other non-Right-to Work states. This is true for all groups. And a recent study found that Right-to-Work states had lower wages than comparable non-Right-to-Work states for construction, service, retail and health workers. The construction trades have had the most sullied reputation among African Americans, and are still seen as presenting barriers to black employment (African Americans have become accustomed to counting the number of Black workers spotted on construction jobs). The aging of Missouri’s roads and infrastructure means that construction jobs will boom over the next decade. Unions, especially the construction trades, must recognize that with the shrinking number of union members, enlightened self-interest should encourage the adoption of all people of color into their ranks. Should the balance of consideration be toward the worker or the owners? It has been clear through history that Right-to-Work does not increase worker benefits. Greater numbers of employees may be needed to accomplish the work that employers wish to achieve, but the wages of those employees, while not a complete afterthought, are not primary. Non-Right-to Work states help to balance that equation. Unions must enthusiastically welcome people of color and show them why Right to Work is not a viable option for Missouri communities. So the question is a basic one, affecting workers whether African American, Asian American, American Indian, Latino, or Caucasian. 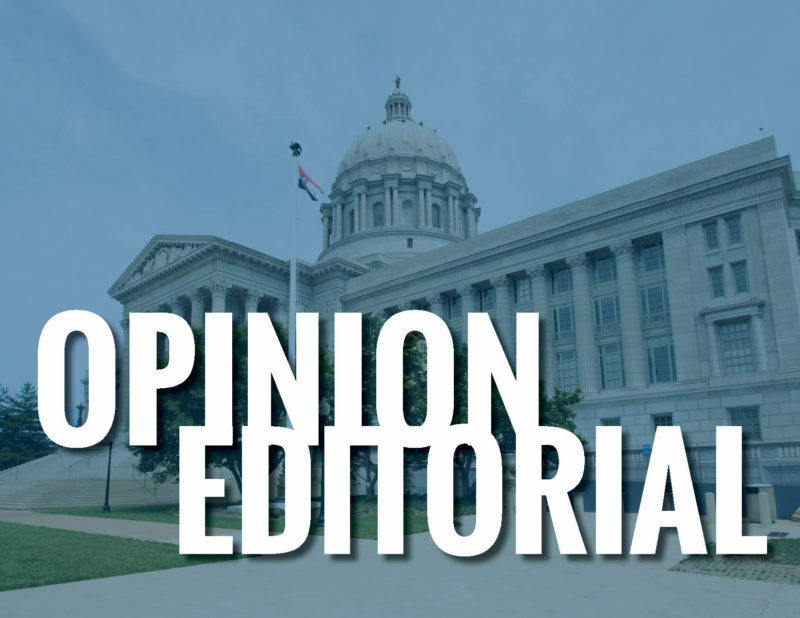 I say even rural residents of Missouri should join the call to continue to defeat Proposition A. But just know that if Right-to-Work fails at the polls on Tuesday, this will probably not be its last attempt. Voters will need to prepare to stay vigilant. Dr. Stacey Daniels-Young, a Psychologist, attended University of Missouri schools for her entire education. Her areas of focus are research, evaluation, and the empowerment of communities. Daniels-Young chose Ad Hoc Group Against Crime in Kansas City to receive a donation on behalf of her writing.